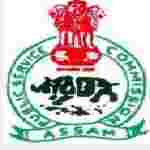 Assam PSC Engineer recruitment 2016-17 notification apply for 231 posts : Assam Public service commission (APSC) welcomes application for the position of 231 Junior Engineer, Assistant Manager & various vacancies. Candidates who completed their MD, MS, Diploma, Degree is a good opportunity.The individuals who are the occupation seekers searching for govt employments in Assam this is the best chance to apply. Competitors read the official notification then read all the guidelines and miners precisely then apply before the last date online application got. All the interested and eligible candidates can apply before 05th September 2016. Candidates Age Limit: The age of the candidate should not be less than 21 years and should not be more than 43 Years. The age of the applicant should be as on 3rd March 2016. Academic Qualification Details: Candidates should have passed the 3 years diploma course in civil engineering from an institution recognized by AICTE. Academic Qualification Details: Candidates should have at least a Bachelor degree in any branch of engineering or in Arts/Science/Commerce of a University or any other institution in India or abroad recognized by the government for the purpose with minimum second class major in any specific subject or distinction in degree course. Process of applying for the job: Candidates may apply in prescribed application form along with self-attested photocopies of certificate / mark-sheets from HSLC onwards and also caste certificate / registration certificate / experience certificate (Where necessary) send to the commission office, Deputy secretary, Assam public service commission, Jawahar nagar, Khanapara, Guwahati:- 22 on or before 5th September 2016. Important Dates: All the interested and eligible candidates can apply before 05th September 2016.